Perhaps one of Australia's most iconic tourist attractions and certainly one of our more famous natural attractions, the Great Barrier Reef has once again attracted the attention of naturalist and broadcaster Sir David Attenborough. 60 years after his first dive on the reef, he has returned for a 3 part documentary series designed to examine and show case Australia's coastal and aquatic experiences. Working in partnership with Tourism Australia, the documentary series is designed to excite potential international visitors. According to the latest research by the tourism body, Australia ranks highest overall for natural environments and world-class beauty, particularly in major markets in Japan, the United Kingdom, Singapore and the United States. In fact, the attraction of the Great Barrier Reef came out on top ahead of New Zealand, Hawaii, Switzerland and Canada. A part of the new documentary's filming schedule, Sir David Attenborough spent 3 weeks on the Great Barrier Reef, shooting the 3 part series. Some of his time was also spent on board one of the most advanced research vessels in the world. Managing director of Tourism Australia John O'Sullivan says it's important that Australia continues to show not only how but why its aquatic and coastal environments are so unique. Recently there has been concern about the impacts of shipping and climate change on the reef with fears these issues could affect the reef's ability to continue to attract tourists. 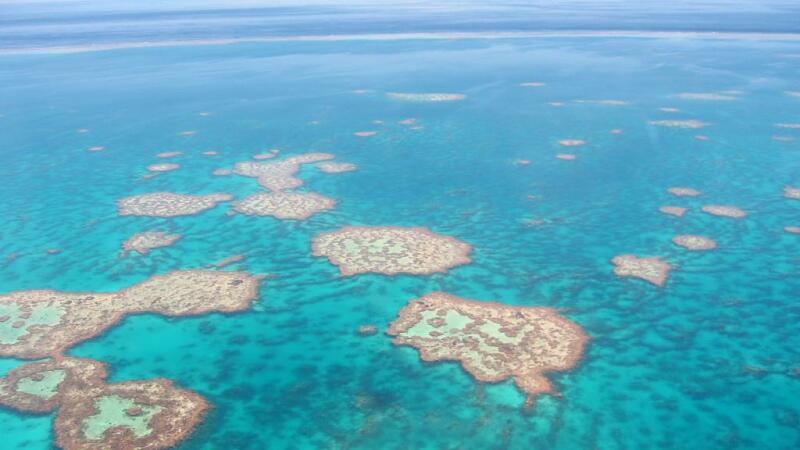 Given the Great Barrier Reef currently receives over 1.9 million visitors a year, which contributes over $5.6 billion to Australia's economy and supports 69,000 jobs, the environmental implications of the reef is of primary concern. The final part of Sir David Attenborough's series will investigate the future of the reef as well as the secrets science may hold to its survival.